We already know that Hon. Julia Gillard, Prime Minister of Australia, is a crooked liar. Today, St. George’s Day, 2GB’s Ben Fordham publicly confirmed on his radio show that the statement he made in March, when interviewing the PM, that she is being investigated by Victoria Police, for alleged fraud, is true. Naturally, our mendaciloquent PM denies everything. et nostram haec ministram illam prima nefaria primam. Listen to Ben Fordham’s statement on April 23, 2013. Listen to Ben Fordham’s interview with Hon. Julia Gillard on 7 March, 2013. Ms GILLARD (Lalor—Prime Minister) (14:48): I have in fact dealt with these questions on the public record. I stand by those truthful statements, and the construction that the Deputy Leader of the Opposition is trying to put on them is not a fair construction. I refer her to my extensive press conference, where I dealt with all of these issues in a great deal of detail. Neither she nor her Canberra press lackeys referred to the power of attorney in the transcript which her own office released. By saying she “dealt with these questions on the public record”—specifically, the power of attorney which she “witnessed” as well as the mortgage wherewith it was secured—she willfully misled the House. UPDATE: see Michael Smith’s “Deny, Deny, Deny. True to form and entirely unbelievable”. Of course, ABC News fails—yet again—to mention this important story. The Prime Minister hasn’t denied my assertion that she is a subject of a police enquiry, nor have the Victorian Police corrected it. It strikes me as ironic that a Prime Minister whose primary impairment is a lack of trust from the electorate may soon be interviewed by the Fraud Squad over her rôle in a major crime. Have we an obligation to listen to our leaders with respect? Are honour and integrity virtues we may rightfully expect? See also “Unfit to Lead” and “The PM Lied”. UPDATE IV: Andrew Bolt joins in the fun with “Claim: Police investigating Gillard on slush fund”. Victorian police are escalating their investigation into the union scandal involving Julia Gillard's former boyfriend, engaging forensic accountants to track hundreds of thousands of dollars in allegedly suspect payments. 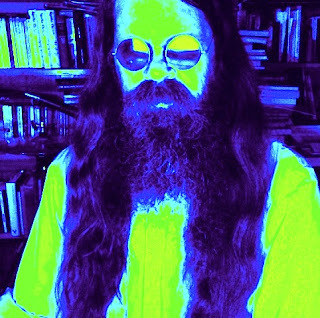 “The police are interested in comments made by Julia Gillard in the interview with me,” Mr Fordham told his listeners. Mr Fordham told listeners he knew “for a fact that the Prime Minister is being investigated” by the Victorian police. But a spokesman for Ms Gillard said the PM has “never been contacted by police and never been asked to provide a statement”. Well, I imagine that, sometimes, people may be investigated by the police without their being informed, and even without being asked for a statement, until police have completed other investigations and obtained relevant documents. We need not pay very much attention to any typically equivocatory denial from the PM or anything which her lying lackeys assert. UPDATE VI (24 April): shortly after midnight, mirabile dictu, I could find no reference to Fordham’s claim in either the Sydney Morning Herald or The Age. A former union employee who has told of depositing $5,000 into Julia Gillard’s bank account at the direction of her allegedly corrupt union boss boyfriend has been asked by Victoria Police to make a formal statement as part of an ongoing fraud investigation. The request came as the Prime Minister denied allegations made by radio broadcaster 2GB’s Ben Fordham that she was under direct investigation. Ms Gillard has repeatedly denied any wrongdoing in relation to the money. Fordham said Victoria Police had verified to him that she was being investigated and asked him to make a statement about responses Ms Gillard gave in a March 7 radio interview about her conduct in an alleged fraud involving several hundred thousand dollars in the early 1990s. The Australian is aware that detectives have questioned more than 12 witnesses since late last year who had direct knowledge of the Australian Workers Union slush fund scandal, the role of Ms Gillard at law firm Slater & Gordon and admissions by former AWU official Ralph Blewitt that he helped perpetrate a major fraud at the union. “She’s a Woman” (at Say “Yes’’ to More Taxes, 17 July, 2010). In the days after a heated 2GB radio interview in March, during which Julia Gillard was questioned closely about the AWU slush fund scandal, a detective in Victoria’s Fraud Squad, Ross Mitchell, made a strategic decision. One answer the Prime Minister gave during a dogged tussle in her interview with Ben Fordham stood out. Mitchell knew it when he heard it. The other detectives knew it too. Although seemingly innocuous to those not involved in the probe, Gillard’s answer was new and pivotal. It meant police in Melbourne would need a sworn statement from Fordham in Sydney, even though as a journalist he would be expected to subsequently disclose some key facts. Neither the Police Commissioner of Victoria, Ken Lay, nor the Prime Minister’s office has sought to dispute any of Fordham’s assertions. Nor is the PM’s office now suggesting, as it did in March, that the Victoria Police investigation has nothing to do with Gillard. The reality is that Gillard’s office cannot know the details of the probe. 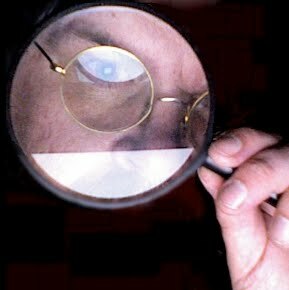 For an alleged fraud being taken seriously since late last year by seasoned detectives, Australians should ask hard questions about why large sections of their media, and particularly the public broadcaster, still baulk at reporting the AWU scandal; downplay the story or, worse, self-censor; ask few or no questions; and even mock journalists who have lost their jobs for pursuing it—Michael Smith and Glenn Milne. For Mitchell's taskforce, one of the most interesting features of [Ralph] Blewitt’s story is that he has told it in the knowledge that he faces going to prison. Having admitted to police an incriminating role in what he calls a fraud, Blewitt can be prosecuted and convicted. There has been no deal. 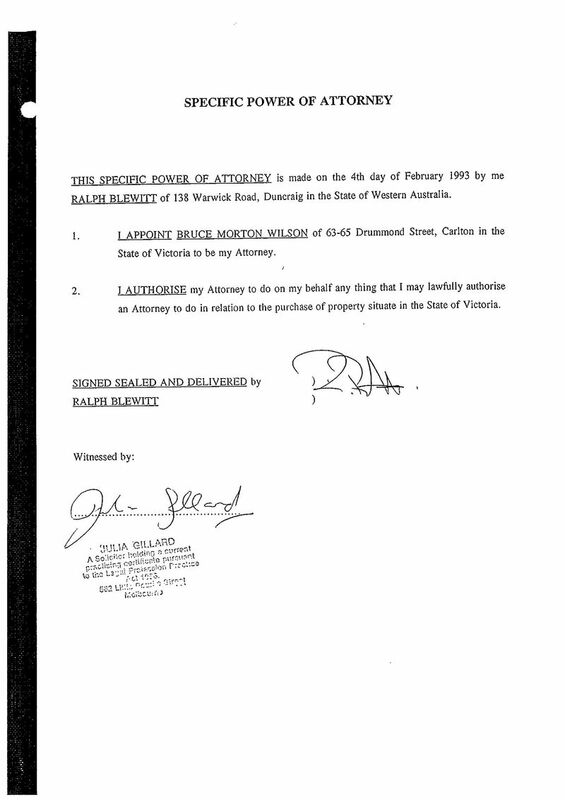 One of the planks of Blewitt’s story, which 2GB’s Fordham latched on to in his interview with the Prime Minister in March, concerns a “power of attorney” document bearing Gillar’'s signature as the official witness. According to Blewitt, it was a false document. Blewitt has repeatedly said the “power of attorney” was not worth the paper on which it was written. The document permitted Wilson to buy the Fitzroy terrace house (in Blewitt's name) at auction. Blewitt, who was living in Perth at the time, claims it is bogus—that Gillard could not have “witnessed” it as they were thousands of kilometres apart at the time. In previous rejections of Blewitt's claims about this document, the Prime Minister insisted she always witnessed such documents properly as a solicitor. But Fordham tells Inquirer that all of Gillard’s previous answers seemed to avoid declaring outright that she and Blewitt were in the same room when the power of attorney was witnessed. “I wanted a straight answer from the PM on that simple question when I interviewed her in March and I wasn’t going to let it go,” he said. Gillard finally confirmed [i.e., asserted] to Fordham that she and Blewitt were in the room when the document was signed. It is an assertion that could only be [proven] wrong if Victoria Police have evidence placing them on opposite sides of Australia. When you sign your enduring power of attorney form, your signature must be witnessed by two people. At least one of your witnesses must be a person authorised to witness statutory declarations under the Oaths, Affidavits and Statutory Declarations Act 2005 (see Appendix B). You may choose to have two authorised witnesses, but this is not essential. The person who is not an authorised witness must not be a party to the enduring power of attorney (i.e. a witness cannot be a sole, joint or substitute attorney or a person involved in a marksman or readover clause in the enduring power of attorney). It is however also recommended that the authorised witness is not a party to the enduring power of attorney, and can be seen as an independent witness. I doubt that many reasonable people, knowing of Julia Gillard’s relationship with Bruce Wilson, would contend that she was “an independent witness”. The two witnesses must sign the ‘Certificate of witnesses’. You cannot be a witness and neither can your attorney. At least one of the witnesses must be someone who is not related to you or the person(s) you appoint as your attorney(s). 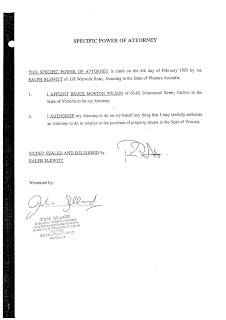 One of the witnesses must be authorised by law to witness the signing of statutory declarations. my practice as a lawyer was to witness documents properly. I should hope that a qualified solicitor, in order to witness a document properly, would ascertain that the said document was drafted with a reasonable level of competence and that the proper number of suitable witnesses were present. (1) An instrument creating a power of attorney may be executed by, or by direction and in the presence of, the donor of the power. (2) Where such an instrument is executed by a person by direction and in the presence of the donor of the power, two other persons shall be present as witnesses and shall attest the instrument. UPDATE X (29 April): see Michael Smith on “The Power of Attorney, the document that Julia Gillard says she witnessed properly”. as they put her in the van. be a lesson for us all. last set up a trust. The Labor Party is the party of truth-telling. When we go out into the electorate and make promises, do you know what we would do in government? We would keep them. When we say them, we mean them. That is the difference between [the then Coalition Government] and us. If I were Minister for Health it would be my duty to implement lock, stock and barrel—word for word—exactly what we had promised in the election campaign. Police from the Victorian Fraud Squad have seized boxes of legal documents from Julia Gillard’s former employer, Slater & Gordon lawyers, as part of an ongoing probe into the AWU slush fund scandal. The documents were removed from the firm’s Melbourne offices after the execution of a search warrant and co-operation between the firm and detectives, sources told The Australian yesterday. Mr Wilson and Ms Gillard, whose relationship ended [according to her] over the AWU scandal in 1995, have repeatedly and strenuously denied any wrongdoing, and accused Mr Blewitt of being unreliable and a liar. Victoria Police, which has had a taskforce of detectives working on the AWU investigation since late 2012, have repeatedly declined to comment on their most sensitive probe. Police last month sought documents from the archives of the AWU’s West Australian and Victorian branches, in which Mr Wilson and Mr Blewitt worked in the 1990s during the alleged fraud. The legal work done at Slater & Gordon for the two men includes the Prime Minister’s role in helping Mr Wilson establish the AWU Workplace Reform Association. Ms Gillard says she provided legal advice to help set up the AWU Workplace Reform Association, which Mr Wilson later used to carry out the alleged fraud. She later described the association as a “slush fund” for the re-election of union officials, but said she had no knowledge of its operations. The slush fund was used by Mr Wilson and Mr Blewitt to bill building company, Thiess, for hundreds of thousands of dollars for work that was not performed. The union was not aware of the existence of the slush fund. 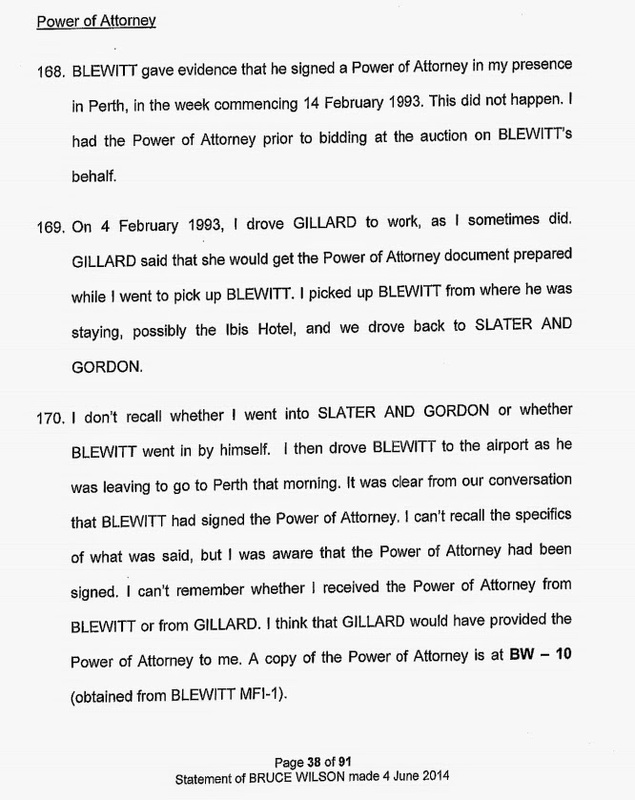 Slater & Gordon was the law firm for the AWU at the time. Money was withdrawn from the slush fund to purchase a $230,000 Fitzroy terrace house in Mr Blewitt’s name at a 1993 auction Ms Gillard attended with Mr Wilson, who subsequently lived in the property. Slater & Gordon handled the conveyancing and helped provide finance. Victoria Police will seek to use documents taken from prominent law firm Slater & Gordon in framing potential criminal charges over the Australian Workers Union slush fund scandal. The investigation focuses on the 1993 purchase of a Fitzroy house involving some of the hundreds of thousands of dollars allegedly misappropriated from the AWU Workplace Reform Association by former senior AWU official Bruce Wilson, who was then the boyfriend of Prime Minister Julia Gillard. Ms Gillard, then a partner at Slater & Gordon, gave legal advice in relation to establishing the association—ostensibly for promoting work safety and training—which she later confirmed to be a “slush fund” to bankroll union elections. She later created a power of attorney to enable Mr Wilson to buy the property in Kerr Street, Fitzroy, in the name of union crony Ralph Blewitt. Mr Blewitt has confirmed in a statement to police that he was involved in fraud but both Ms Gillard and Mr Wilson have vehemently denied any illegal or improper conduct. A team involving as many as 12 detectives has worked on the AWU investigation since late last year. It is believed they have interviewed more than 60 people including former employees of Slater & Gordon who have provided important leads. Sources said it was unlikely any charges would be laid before the election, but this was due to the complexity of the investigation rather than any desire to avoid embarrassing the government. That bit of her comment - "I stand by those truthful statements" - sounds like lawyerly deceit. What she is saying here could be interpreted as "I stand by those bits of my statement which are true". Yes, Bh, though she was an inept lawyer (by her own admissions) she did learn to maximise the covering of her arse when making statements. When discussing the alleged “power of attorney” for Mr Blewitt which bears her signature, for instance, instead of making a straightforward declaration that she witnessed that inadequate document, she merely asserts that she always signed documents properly. No, Not That Kind of Common Sense!